Hello people of the internet!!! On today’s ‘Monday Memos’ we’re going to talk about a new show that we’re all going to want to check out on Netflix. 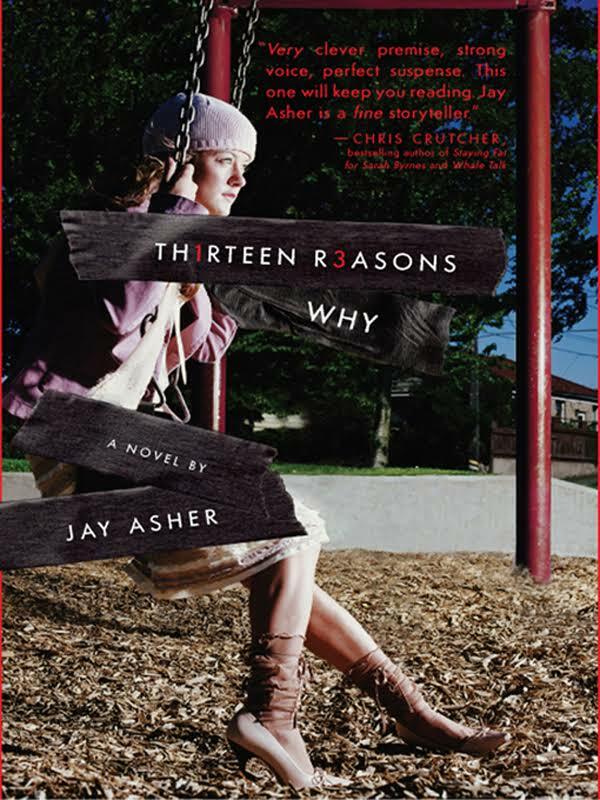 If you have ever read the novel ‘Thirteen Reasons Why’ by Jay Asher then prepared to get really excited! In 2011 Universal Pictures purchased the rights to make ‘Thirteen Reasons Why’ into a film starring Selena Gomez. On October 29th (of 2015) it was announced that this book would instead be made into a 13 episode miniseries that will be executive produced by Selena Gomez, her mother Mandy Teefey, and Kristel Laiblin (who has also served as a producer for films such as The Man with the Iron Fists, In Time, and Children of Men). I’m not 100% sure if Selena will still star as the lead character Hannah Baker, but I’m sure we’ll find out soon so I’m excited to find out. Personally I am a HUGE fan of this book, so I’m excited to see this miniseries. This is the latest book to get a film/TV release, following other Young Adult novels such as: Harry Potter, Twilight, The Hunger Games, The Divergent Trilogy, The Fault in our Stars, and the TV show Eye Candy, among many others. It’s really cool to see our favorite stories get a breath of fresh air by coming to life on the big and small screen, and I’m really excited to see which of our favorite novels will be added to this list next. So now let’s discuss the plot a little bit (and don’t worry there won’t be any huge spoilers). The story revolves around the aftermath of the suicide of a high school girl named Hannah Baker. We follow the story through the eyes of a shy guy named Clay Jensen who is surprised to find a box of 7 cassette tapes from an anonymous person. He listens to the tapes and finds out that Hannah is narrating the tapes. On these tapes she explains that there are 12 people & 13 reasons that are responsible for her committing suicide. She says that each of the 12 people must pass the tapes along to the next person, otherwise someone else will release a second set of the tapes to everyone at their school. This is definitely a really interesting story that will take you on a rollercoaster of emotions. The book ends with giving the audience a lot of really good life lessons, but do so in a very realistic non-preachy way. I am so excited that this book is getting more attention, and I am interested to see where Netflix takes this story. All credit goes to Thirteen Reasons Why, Jay Asher, Christian Fuenfhausen, Penguin Books, Netflix, Universal Pictures, Selena Gomez, Mandy Teefey, Kristel Laiblin, The Man with the Iron Fists, In Time, Children of Men, Arcade Pictures, Iron Fists, Strike Entertainment, RZA, In Time, Andrew Niccol, Regency Enterprises, New Regency Pictures, Strike Entertainment, 20th Century Fox, Alfonso Cuaron, Timothy J. Sexton, David Arata, Mark Fergus, Hawk Ostby, P.D. James, Universal pictures, Hit & Run Productions, Harry Potter, Twilight, The Hunger Games, The Divergent Trilogy, The Fault in Our Stars, Eye Candy, Mortal Instruments, J.K. Rowling, Chris Columbus, Mike Newell, David Yates, David Heyman, Mark Radcliffe, David Barron, Heyday Films, 1492 Pictures, Warner Bros. Pictures, Catherine Hardwicke, Chris Weitz, David Slade, Bill Condon, Wyck Godfrey, Mark Morgan, Greg Mooradian, Karen Roosenfelt, Stephanie Meyer, Temple Hill Entertainment, Maverick Films, Imprint Entertainment, Sunswept Entertainment, Summit Entertainment, Little, Brown and Company, Bloomsbury Publishing, Arthur A. Levine Books, Scholastic Corporation, Suzanne Collins, Gary Ross, Billy Ray, Color Force, Lionsgate Films, Nina Jacobson, Jon Kilik, Francis Lawrence, Simon Beaufoy, Michael deBruyn, Danny Strong, Peter Craig, Veronica Roth, HarperCollins Publishers LLC, Neil Burger, Douglas Wick, Lucy Fisher, Pouya Shabazian, Evan Daughterty, Vanessa Taylor, Red Wagon Entertainment, Robert Schwwentke, Mandeville Films, Noah Oppenheim, Adam Cooper, Bill Collage, Stephen Chbosky, Dutton Books, John Green, Josh Boone, Wyck Godfrey, Marty Bowen, Scott Neustadter, Michael H. Weber, Fox 2000 Pictures, TSG Entertainment, Eye Candy, R. L. Stein, Christian Taylor, Jason Blum, Yvonne Bernard, Beth Elise Hawk, Blumhouse Productions, Jax Media, MTV Production Development, Random House Publishing Group, all of the businesses, companies, people, stores, and any other original owners involved and/or mentioned in any of these videos, any and all companies, individuals, and/or businesses that should receive credit for anything mentioned in this blog post, and all original owners. I do not own anything in this blog. If any people, corporations, businesses, companies, etc, were not previously given credit for their work, they are given credit now and their previous absence was unintentional. All opinions expressed in this blog are my own. I wrote this blog for entertainment purposes and no copyright infringement is intended. celindareyesblog November 3, 2015 No Comments on Monday Memos: ‘Thirteen Reasons Why’ just gave you 1 more reason to watch Netflix. Category: Monday Memos. Tagged: 1492 Pictures, 20th Century Fox, action, Adam Cooper, adventure, alfonso cuaron, Andrew Niccol, Arcade Pictures, Arthur A. Levine Books, Beth Elise Hawk, Bill Collage, Bill Condon, Billy Ray, Bloomsbury Publishing, Blumhouse Productions, book, Brown and Company, Catherine Hardwicke, Children of Men, Chris Columbus, Chris Weitz, Christian Fuenfhausen, Christian Taylor, Color Force, Danny Strong, David Arata, David Barron, David Heyman, David Slade, David Yates, Douglas Wick, Dutton Books, entertainment, Evan Daughterty, Eye Candy, fantasy, fiction, Fox 2000 Pictures, Francis Lawrence, Gary Ross, Greg Mooradian, HarperCollins Publishers LLC, harry potter, Hawk Ostby, Heyday Films, Hit & Run Productions, Imprint Entertainment, In Time, Iron Fists, J.K. Rowling, Jason Blum, Jax Media, Jay Asher, john green, Jon Kilik, Josh Boone, Karen Roosenfelt, Kristel Laiblin, Lionsgate Films, Little, Lucy Fisher, Mandeville Films, Mandy Teefey, Mark Fergus, Mark Morgan, Mark Radcliffe, Marty Bowen, Maverick Films, Michael deBruyn, Michael H. Weber, Mike Newell, Mortal Instruments, MTV Production Development, mystery, Neil Burger, netflix, new, New Regency Pictures, Nina Jacobson, Noah Oppenheim, P.D. James, Penguin Books, Peter Craig, Pouya Shabazian, R.L. Stein, Random House Publishing Group, Red Wagon Entertainment, Regency Enterprises, Robert Schwwentke, RZA, Scholastic Corporation, Scott Neustadter, Selena Gomez, Simon Beaufoy, Stephanie Meyer, Stephen Chbosky, Strike Entertainment, Summit Entertainment, Sunswept Entertainment, Suzanne Collins, Temple Hill Entertainment, The Divergent Trilogy, the fault in our stars, the hunger games, The Man with the Iron Fists, Thirteen Reasons Why, Timothy J. Sexton, TSG Entertainment, twilight, Universal Pictures, Vanessa Taylor, Veronica Roth, Warner Bros. Pictures, Wyck Godfrey, young adult, Yvonne Bernard. Hello people of the internet!!! On today’s ‘YouTube Wednesday’ we are going to discuss the 2015 ‘MTV Movie Awards’. The show was hosted this year by comedian/actress Amy Schumer, who definitely made this year’s award show a memorable one. The show began with a hilarious series of skits which showed Amy as a character in some of the biggest movies of the year. These skits included the movies: ‘Pitch Perfect’, ‘Divergent’, ‘The Fault In Our Stars’, and ‘The Hunger Games’. There were a few more hilarious jokes about the shows on MTV, and the fact that MTV has TV shows now instead of just playing music videos all day. Amy also made some really funny jokes about actor/comedian Kevin Hart’s release of non-stop movies lately, and Hillary Clinton finally giving the announcement we’ve all been waiting for…she’s the newest member of One Direction (just kidding, but wouldn’t that be awesome?!?). So now that we’ve discussed the opening of the show, then let’s move on to the awards. Ready? Ok, let’s go! Now even though we don’t really need to explain why ‘The Maze Runner’ deserves this award (even though the competition was VERY stiff) but one reason would definitely be that the film grossed over $340 million worldwide, since its’ release in September of 2014 (not bad for a movie that had a budget of $34 million). With the success that this film would already have because of the success of the book series (which the movies are based off of), and Dylan’s popularity because if his role on Teen Wolf, there was never a doubt that this movie would do extremely well. Ok we all know why Shailene won this one! I mean Hazel and Gus are still playing with our emotions, and wow that movie is such so amazing and intense. This was the first in a LONG line of awards Shailene would win last night, and honestly she definitely deserved this one. Honestly right now it’s a good time to be Shailene Woodley. In the past few years she’s been an action hero in the Divergent series, a teenager who’s world gets turned upside down when her mom “leaves” her and secrets start coming out, a love struck teenager battling cancer (thanks again John Green for giving us an ending we’ll never recover from), and so many other memorable characters. It’s obvious that this is just the beginning of Shailene Woodley’s Hollywood takeover, and I don’t know about y’all, but I am SOOOO excited to see what her next project will be. I think we can all agree that Robert Downey Jr. has such an interesting story due to his tremendous film success in the 80s & early 90s, followed by his comeback in 2003. Most of us probably know him for his work in Iron Man, Tropic Thunder, The Avengers, and so much more! Now of course we also know about his past with drug and alcohol addiction, but I think that the fact that he was able to bounce back and become such a respected actor (because honestly that’s not an easy task to pull off), is a real testament to his talent. Ok honestly I think we would’ve all been mad if anyone else won this award because Gus and Hazel are #relationshipgoals, they just are. This couple made us laugh, cry, question our place in the universe, and learn a lot of really big words, so of course they would win best kiss. I mean they were just too cute, I just can’t y’all…you just gotta love Hazel and Gus. I think that it’s definitely so much harder for an actor when they have to portray a real person verses a fictional character, so Bradley Cooper certainly showed us his acting chops with this film. In American Sniper Bradley Cooper portrayed U.S. Navy SEAL Chris Kyle, and the fact that this film grossed over $540 million worldwide with a $58.8 million budget (which made it the highest-grossing film of 2014 in the United States), shows that audiences just fell in love with Bradley Cooper’s work in this movie. When this film came out EVERYONE wanted to see it, so I don’t think we were surprised that he walked away with this win. With movies like: ‘Think Like A Man’, ‘Ride Along’, ‘About Last Night’, his stand-up act (and honestly so much work that I would have y’all here all day), we are all very familiar with how funny Kevin Hart is. All amazing comics have their moments when they just rule comedy, and right now is definitely the era of Kevin Hart. So prepare because apparently “if he sees his shadow then we get 6 more months of Kevin Hart movies”, thanks for the tip Amy Schumer. Ok if Hazel and Gus are #relationshipgoals, then ‘The Fault In Our Stars’ is definitely #moviegoals, because this film is just so utterly perfect. I mean like I said before, this movie made us feel all of our emotions at once, and then made us question everything about life. I mean I read the book so I knew what was going to happen and this movie still made me cry at the end (I’m still not ready to talk about that ending y’all, it’s just too soon). I think that this movie is definitely the movie of the year, and now we just have to wait and see how John Green’s latest book turned film ‘Paper Towns’ does (I know, I know, we’re all super excited!). All credit goes to MTV, MTV Movie Awards, Pitch Perfect, Divergent, The Fault In Our Stars, The Hunger Games Mockingjay Part 1, One Direction, Dylan O’Brien, Shailene Woodley, Robert Downey Jr., Ansel Elgort, Bradley Cooper, U.S. Navy Seals, American Sniper, Chris Kyle, Kevin Hart, John Green, Paper Towns, Think Like A Man, Ride Along, About Last Night, Universal Pictures, Gold Circle Films, Jason Moore, Kay Cannon, Paul Brooks, Max Handelman, Elizabeth Banks, Neil Burger, Douglas Wick, Lucy Fisher, Pouya Shabazian, Evan Daugherty, Vanessa Taylor, Veronica Roth, Red Wagon Entertainment, Summit Entertainment, Josh Boone, Wyck Godfrey, Marty Bowen, Scott Neustadter, Michael H. Weber, Temple Hill Entertainment, TSG Entertainment, 20th Century Fox, Syco Records, Francis Lawrence, Nina Jacobson, Jon Kilik, Danny Strong, Peter Craig, Suzanne Collins, Lionsgate, Color Force, Columbia Records, Clint Eastwood, Robert Lorenz, Andrew Lazar, Bradley Cooper, Peter Morgan, Jason Hall, Chris Kyle, Scott McEwen, Jim DeFelice, Village Roadshow Pictures, Mad Chance Productions, 22nd & Indiana Pictures, Malpaso Productions, Warner Bros. Pictures, Tim Story, Will Packer, Keith Marryman, David A. Newman, Rainforest Films, Screen Gems, Tim Story, Ice Cube, Matt Alvares, WIll Packer, Larry Brezner, Greg Coolidge, Jason Mantzoukas, Phil Hay, Matt Manfredi, Realtivity Media, Cube Viion Productions, Rainforest Films, Steve Pink, Will Packer, Will Gluck, Leslye Headland, David Mamet, Tim Kazurinsky, Olive Bridge Entertainment, the book Sexual Perversity in Chicago, Denise DeClue, Amy Schumer, all companies, individuals, corporations, managers, record labels, writers, producers, and/or businesses that should receive credit for anything mentioned in this blog post, and all original owners. I do not own anything in this blog. If any people, corporations, businesses, companies, etc, were not previously given credit for their work, they are given credit now and their previous absence was unintentional. All opinions expressed in this blog are my own. I wrote this blog for entertainment purposes and no copyright infringement is intended. 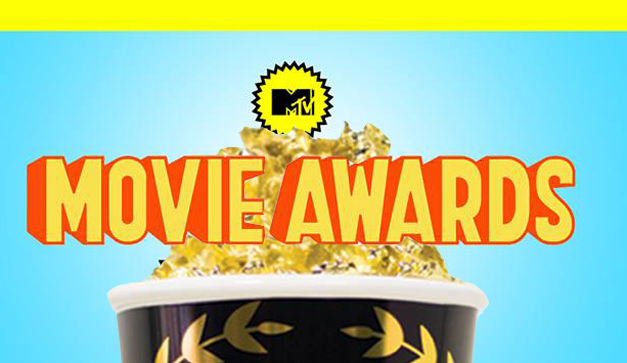 celindareyesblog April 14, 2015 No Comments on Monday Memos: 2015 MTV Movie Awards Recap. Category: Monday Memos. Tagged: 20th Century Fox, 22nd & Indiana Pictures, About Last Night, American Sniper, Amy Schumer, Andrew Lazar, ansel elgort, book, bradley cooper, Chris Kyle, Clint Eastwood, Color Force, Columbia Records, Cube Viion Productions, Danny Strong, David A. Newman, David Mamet, Denise DeClue, divergent, Douglas Wick, Dylan O’Brien, Elizabeth Banks, Evan Daugherty, film, Francis Lawrence, Gold Circle Films, Greg Coolidge, Ice Cube, Jason Hall, Jason Mantzoukas, Jason Moore, Jim DeFelice, john green, Jon Kilik, Josh Boone, Kay Cannon, Keith Marryman, Kevin Hart, Larry Brezner, Leslye Headland, Lionsgate, Lucy Fisher, Mad Chance Productions, Malpaso Productions, Marty Bowen, Matt Alvares, Matt Manfredi, Max Handelman, Michael H. Weber, movie, mtv, MTV Movie Awards, Neil Burger, Nina Jacobson, Olive Bridge Entertainment, one direction, Paper Towns, Paul Brooks, Peter Craig, Peter Morgan, Phil Hay, pitch perfect, Pouya Shabazian, Rainforest Films, Realtivity Media, Red Wagon Entertainment, Ride Along, Robert Downey Jr., Robert Lorenz, Scott McEwen, Scott Neustadter, Screen Gems, Shailene Woodley, Steve Pink, Summit Entertainment, Suzanne Collins, Syco Records, Temple Hill Entertainment, the fault in our stars, The Hunger Games Mockingjay Part 1, Think Like A Man, Tim Kazurinsky, Tim Story, TSG Entertainment, U.S. Navy Seals, Universal Pictures, Vanessa Taylor, Veronica Roth, Village Roadshow Pictures, Warner Bros. Pictures, Will Gluck, Will Packer, Wyck Godfrey.